The Western Echo is an independently owned and operated community newsmagazine which services the inner western suburbs of Brisbane. 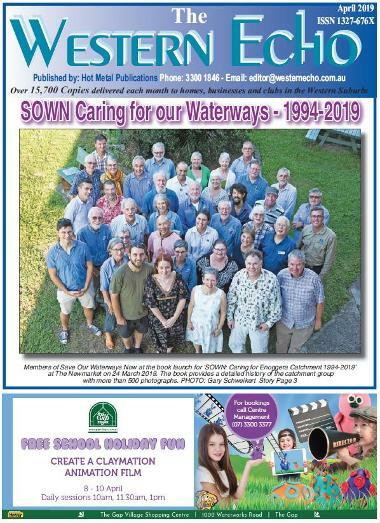 A community news magazine delivered to Homes, Businesses and Clubs in The Gap, Ashgrove, West Ashgrove, Saint John's Wood, Enoggera, Dorrington, Keperra and Newmarket areas of the Western Suburbs of Brisbane, Queensland, since 1994. 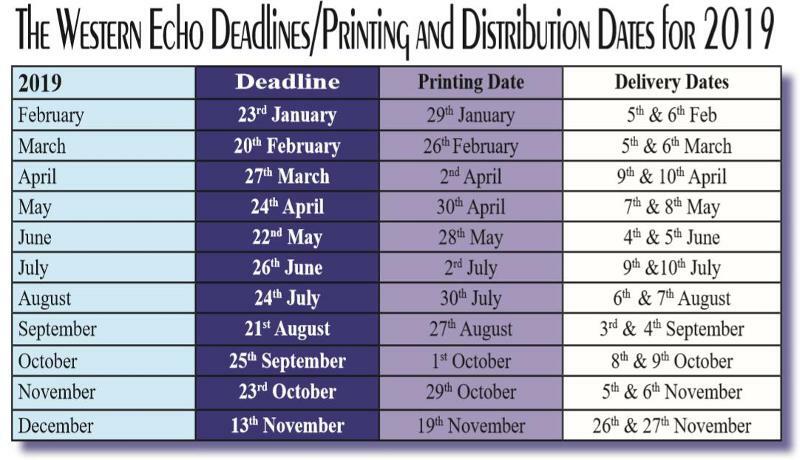 The Western Echo is a locally themed newsmagazine distributed on the first Tuesday and Wednesday of each month to over 15,700 homes, businesses and clubs in Brisbane's Western Suburbs. It is directed towards the family unit and contains reports and stories about local events, organisations, clubs and businesses. Click on the front page (left) to read this month's issue now. 24 years down the track! I am enormously pleased to have the opportunity to keep our readers appraised of the events and happenings of our wonderful local organisations, societies, schools, clubs and non-profit groups - and to encourage local shoppers to SHOP LOCALLY and support our local businesses, suppliers and tradespeople.